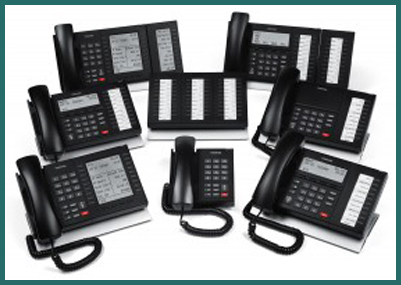 Choosing new telephone systems can be an overwhelming job. Let Metro-Tel help you decide which type of solution is right for your business. Metro-tel can help you choose the right phone system. Currently choosing new telephone systems consist of picking from the most popular types of business telephone solutions: Virtual Phone Systems, Land Line Phone Systems or a variance of the digital VoIP Phone System. Each one of these telephone systems has pros and cons that should be taken into consideration when selecting the right system for your business needs today and for many years to come. This type of telephone model provides the ability for remote employees to have access to the company calls and maintain a resemblance of a company or corporate image. The downfall to this model is that you have to go through the company system to route calls, and you need to account for significant usage and data charges based upon whatever local provider your employees rely upon. The original tried and true method of telephone communications is the copper wired “Land Line”. This type of service is generally provided by your local telephone companies, and they are analog by nature. Land Lines also require stable PBX (line/wire exchange hardware) systems in place, as well as proper programming and maintenance. The great thing about these systems is that they are often very stable and provide additional electrical push to power telephones, alarm systems and additional paging hardware. Also once a business invests in this hardware it is theirs to own for the future. These systems are often used by small to medium sized businesses that do not want monthly hardware rental/maintenance fees and do not have a large amount of digital internet bandwidth available to them. “Voice over IP (Internet Protocol)” is the up and coming digital star of the telecommunications industry. These lines of communication function by using the existing or installed internet lines and their bandwidth – hence the name “over internet protocol”. These phones and their system control units are basically computers that have similar bells and whistles as larger PBX systems. Voice mails and messages can now be sent digitally over the internet to smart phones, laptops, and computers anywhere. There are two main types of digitally delivered VoIP – On-Premise and Cloud based hosting. The short explanation is that On-Premise VoIP allows a company to purchase their own equipment and maintain it from their location. This is usually done from a dedicated computer that runs all of the telecom software and connects to the internet provider’s router or switch. The other Cloud hosted models are literally managed from whoever your telephone system provider might be and they and ONLY they can service the equipment or delivery of that service. Both of these systems rely on your company’s ability to maintain a constant and strong internet connection – so you should take this into account when using these systems. Contact Metro-Tel at 817.831.4436 (in the Dallas / Fort Worth area) to have us come out and provide you with a free evaluation of your new telephone system – or email us using the form below!